Have you ever set a goal you weren’t sure you could achieve? Did you ever think about losing 100 pounds? Erin has and did! Flip through the pages of her focused journey and become inspired by her determination, tenacity and conviction. She shares her own story and personal struggle to become the fit, healthy triathlete she is today. Her book will provide you with a step-by-step approach to achieve your goals and you will quickly believe, you too can conquer that voice of doubt. I’ve waged war on weight since before Erin Freel was born, sometimes temporarily successful but more often not. Watching her, then reading her account of it, go through this journey has given me new hope and direction. Especially meaningful to me are her soul searching commentaries throughout the struggle and into the “light.” Her spinach shake is actually quite good as basically takes on the flavor of whatever fruit you use. I expect I’ll need to reread her journey more than once while I’m on mine. Read the book in just 2 hours. Thank you Erin for sharing your journey. The most inspirational part for me was your complete honesty. It’s not easy to put yourself out there which is why this book is so believable and inspirational. No gimmicks, no programs or devices for sale; just one person’s journey, warts and all. Nice job. What an incredible journey! Very honest and relatable. This story was very easy to read and told in a manner that most of us can understand and relate to. Erin held nothing back and told it the same way she would if she was standing right next to you. She wouldn’t let any excuse stand in her way and she knocked the cover off the ball. You can tell from this accomplishment that she will be successful in whatever she sets her mind to. I can’t wait to read the sequel, after she finishes her Ironman. I was struggling, in a mid-life crisis, and reading about Erin’s struggles, and her success gave me the encouragement I needed to move forward and get the groove of burning calories via exercise and reducing my caloric intake. A solid, honest read. 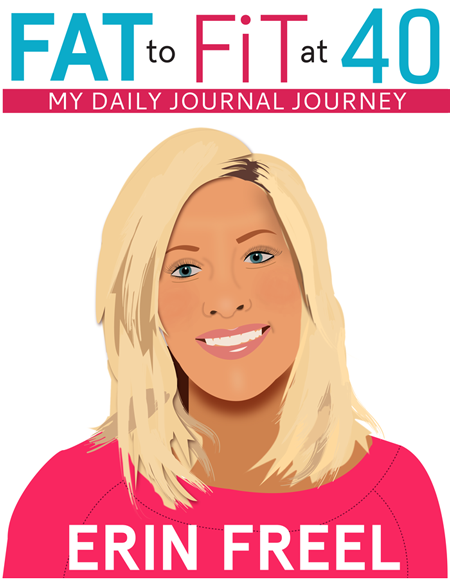 I recommend for anyone embracing their own struggle with weight…no matter the age.